The girls have arrived! After months of planning and a year of contemplating the pros and cons of a dairy cow, Colleen and Maia moved in on Saturday. 1. They need a lot less land than more common varieties of cow. 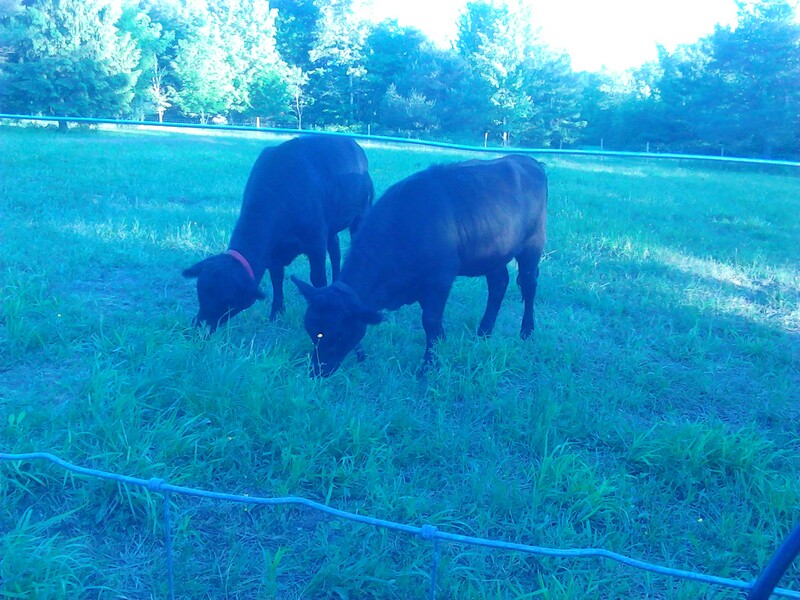 Two can graze on 1/2 acre of land. They also produce a lot less waste, eat and drink a lot less. All of this was well suited to our 9 acre farm. 2. They are naturally small. 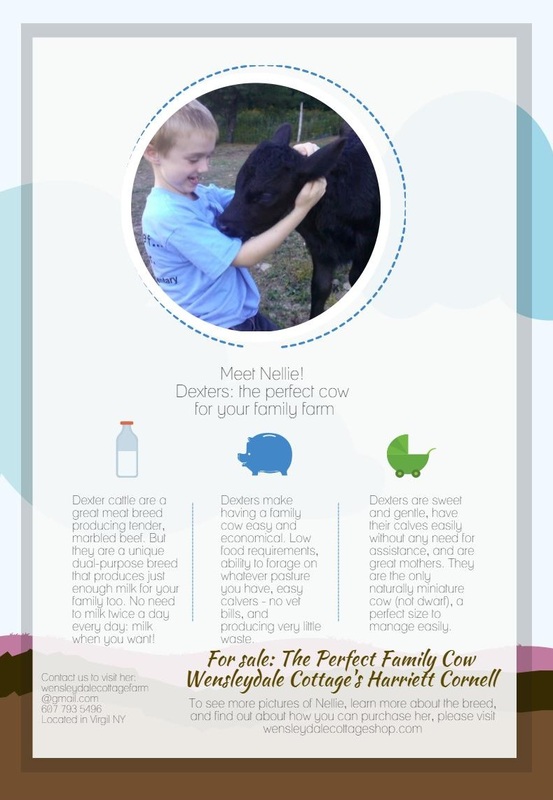 That means all the advantages in handling that cows only up to my chest ( I am only 5’3″ tall) would have, but without any of the problems of genetic dwarfism. 3. They are an easy starter breed. 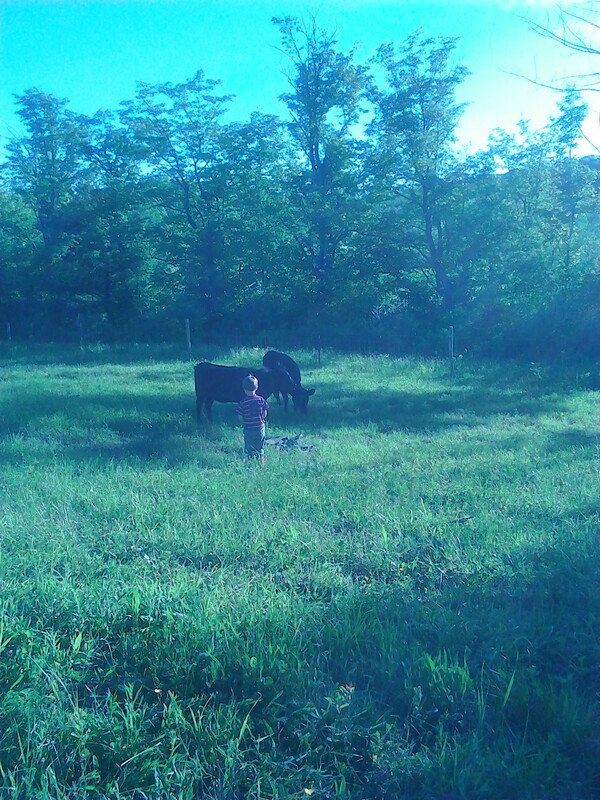 They calf easily (cows, like humans, need to have a calf to produce milk), can graze on relatively ‘poor’ land, and are generally low maintenance. I’ve only had them for a few days but I keep going into the field to check they are still alive simply because I can’t believe how easy they are: fill up their water tank and throw some hay over the fence on occasion, and they just quietly get on with life. 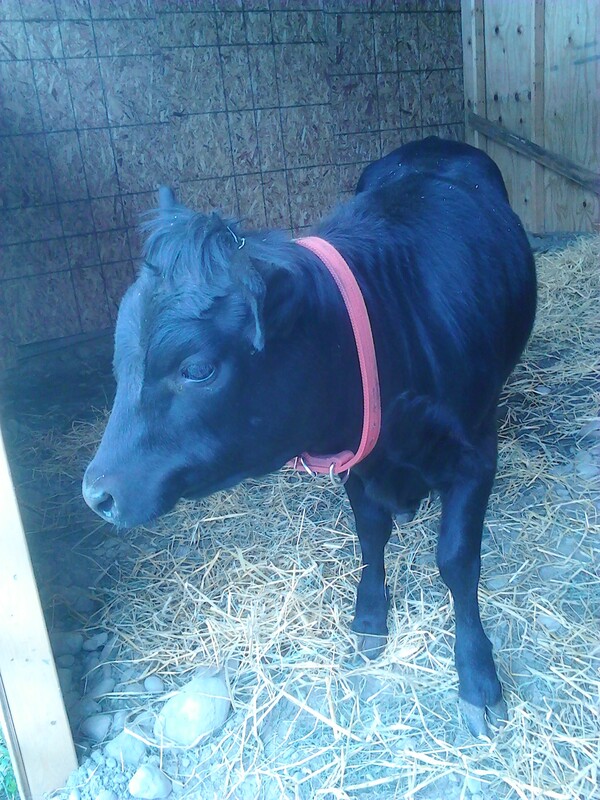 They are hearty enough that they dont have any major housing requirements: ours have an open barn/shed to run into when the weather isnt good. (Although it is raining right now and they are under the trees quite happily.) Having said that they are very curious and friendly, which is good for handling when it comes to milking. 5. Calf value: Dexters are good for meat and milk. This and the rarity of the breed (it is considered ‘endangered’ amongst cattle breeds) makes the calves valuable, allowing us to make back the money we invest in them. 6. Amount of milk produced: These cows are a true ‘homestead’ breed. 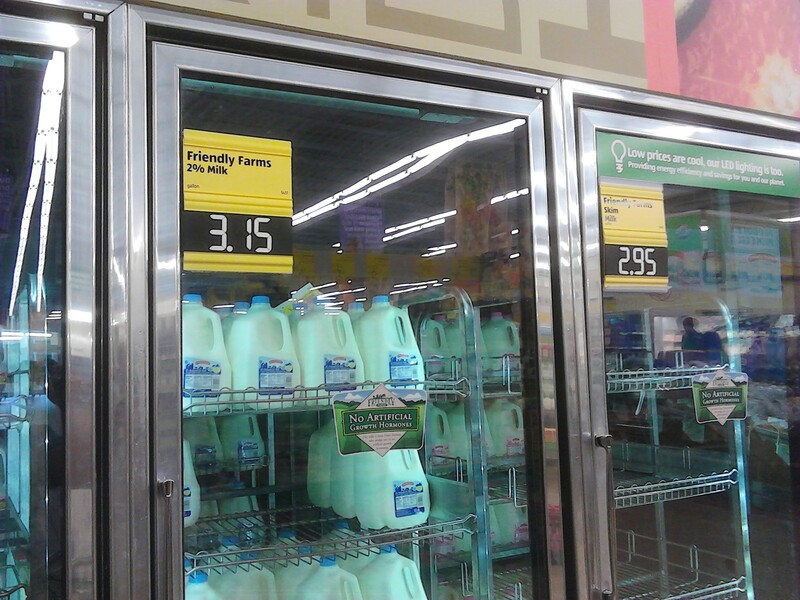 They dont produce 10 or 15 gallons of milk a day like the cows you may see around. I’ve heard people with Holsteins and Jerseys say “my cow produces so much milk I’m having to throw it away!” Dexters produce up to 4 gallons a day, and when sharing that milk with a calf there is little pressure to milk your cow for gallons you will never be able to use. Dexters still have nice creamy milk though (rivaling Jerseys almost), so you will have plenty of cream to make your butter and ice cream. We mow the lawn. 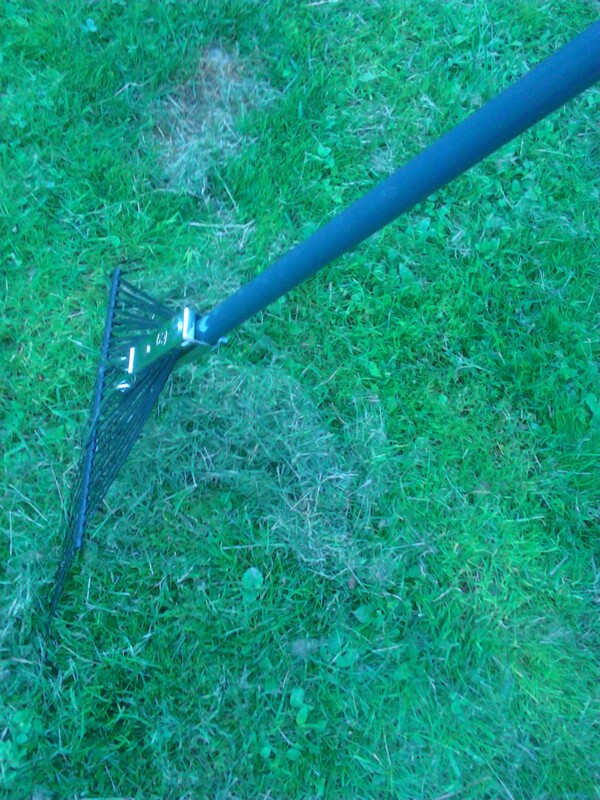 The raked grass goes to the cows. The cows poo. 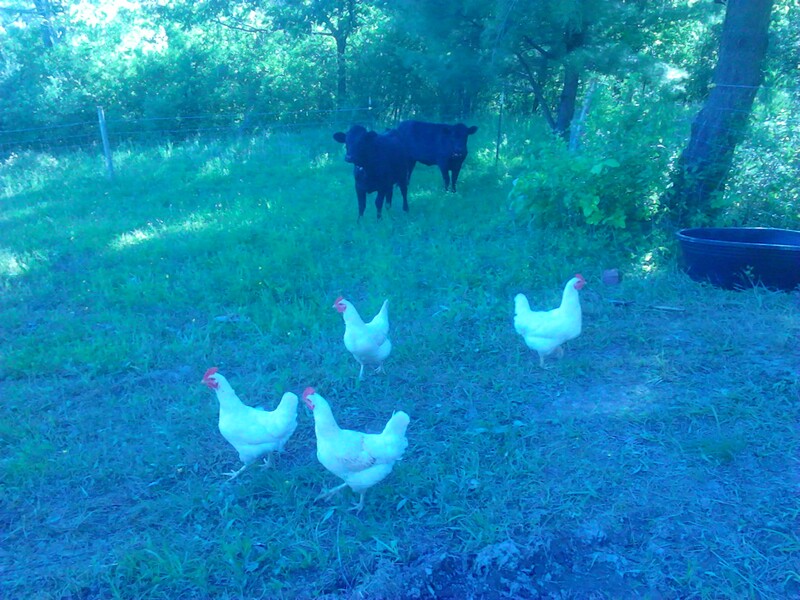 The chickens eat the fly larvae out of the cow pies (no, chickens are not naturally vegetarian). The chickens produce eggs. The egg shells and cow manure go on our garden. 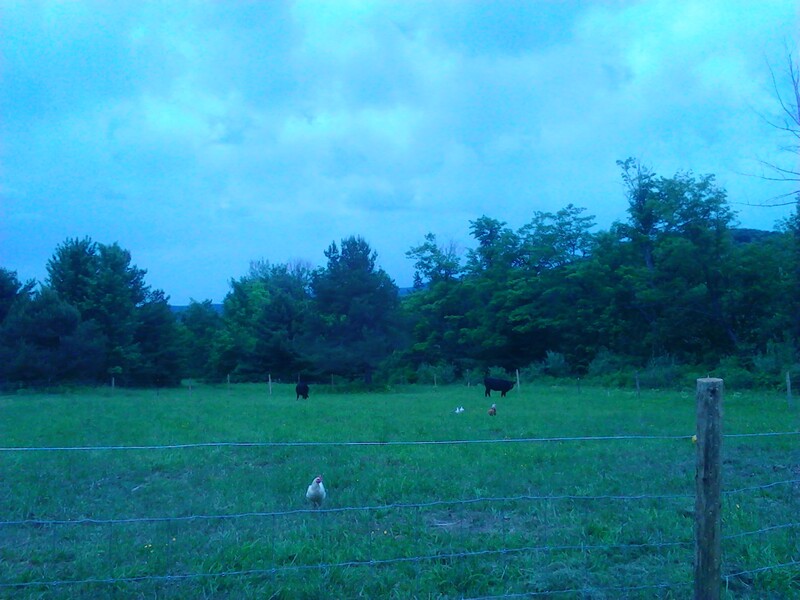 The eggs, milk, and (hopefully soon) meat our animals produce feed us so we have energy to mow and rake the lawn. There is no waste to get rid of. We aren’t swimming in flies or cow poo or chicken poo. We aren’t spending more feeding our garden than it feeds us. We see and control every piece of our food chain. We live it and breathe it and work for it, and it works for us. 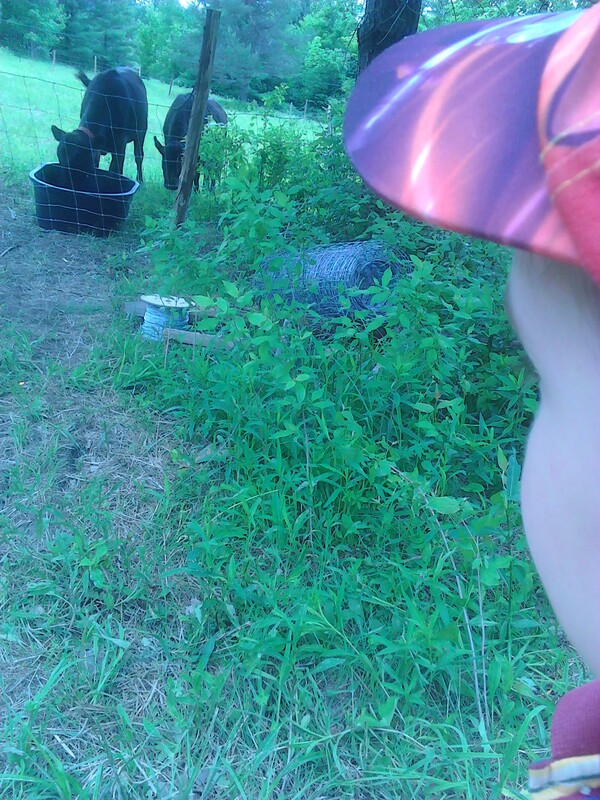 My children watch our heifers fascinated. I can’t help but share their sense of wonder at it all.